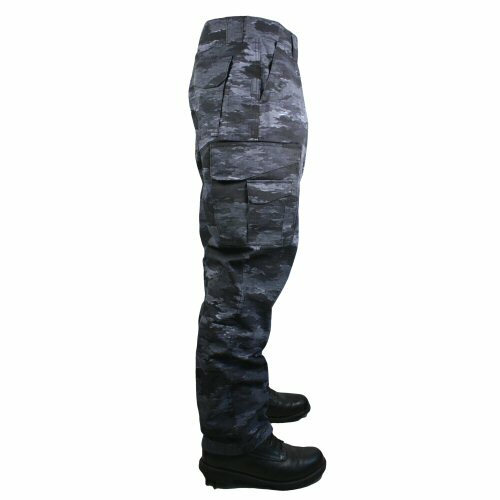 The Truspec ATACS LEX 247 tactical trousers feature genuine DCS ATACS Law Enforcement Xtreme (LEX) camo. 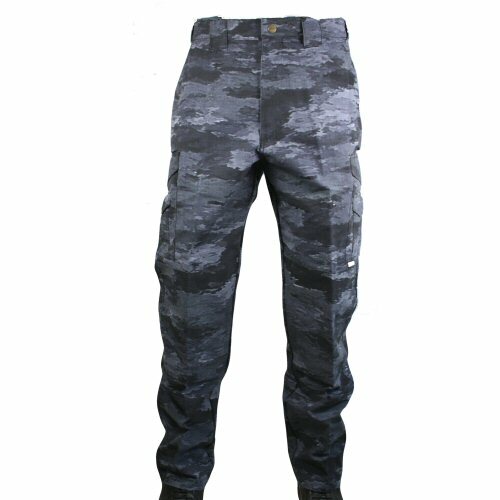 This adaptive camouflage combines the dark blues and dark grey tones to mimic shadowing effects in built up areas. 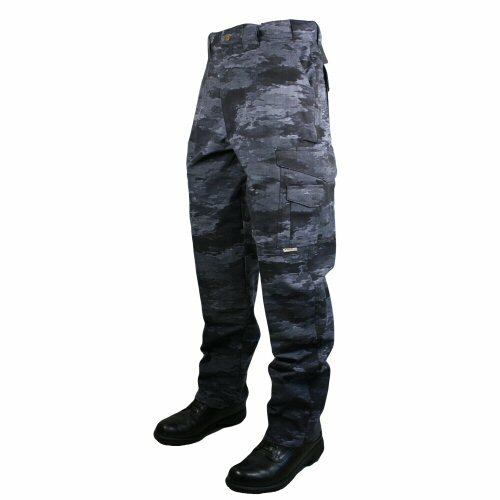 The urban force trousers are manufactured in 50/50 NYCO ripstop fabric, and feature a well organised variety of pockets with offset lids for easier opening with gloved hands. 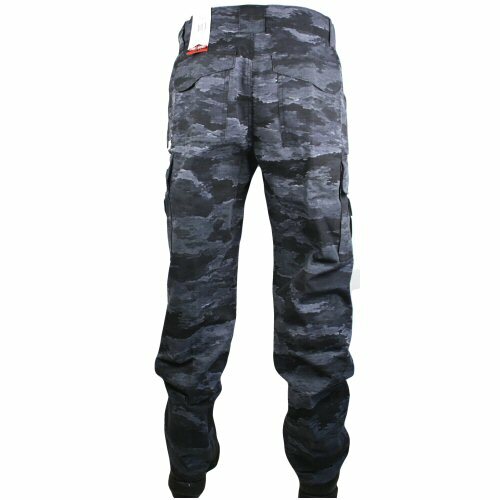 Pockets include two seat pockets, two hip pockets, main cargo pocket with DropN phone pocket behind cargo pocket, utility pocket on front of cargo pocket, additional small tool or knife pockets. Knees are double reinforced. Machine washable. Sizes are in inches on the waist, regular length: 34in, 36in, 38in, 40in and 42in. Available options are: 34R , 36R , 38R , 40R , 42R . Angled left side view showing Truspec's 24-7 pocket style. Rear of trousers showing the wider lower back belt loop and patch pockets on seat. The right side of the trousers showing the hip pocket, seat pocket and leg pockets.